This video helps you understand them one by one. An Interest Rate Derivative is an agreement to buy or sell the value of an underlying debt instrument at a future date at a price that is fixed today. It is predominant risk management tool for market participants worldwide. Today, they are one of the most widely traded derivatives instrument in the world. In India, the underlying security for Interest Rate Futures is either Government Bond or T-Bill. NSE Academy offers the below listed Exchange traded Interest Rate Futures products at present. NSE Bond Futures II Based on 6 year, 10 year and 13 year Government of India Security and T-Bill Futures Based on 91-day Government of India Treasury Bill (91DTB). Check out Interest Rate Derivatives course for better understanding. 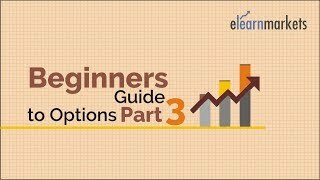 What is Open Interest in Options? The open interest is the total number of options and/or futures contracts that are not closed or delivered (i.e. outstanding) on a particular day in a particular option series. Every opening transaction increases the open interest by 1 while every closing transaction decreases the open interest by 1. Lets understand its impact on our financial markets. 1. Increasing open interest means that new money is flowing into the marketplace. The result will be that the present trend (up, down or sideways) will continue. 2. Declining open interest means that the market is liquidating and implies that the prevailing price trend is coming to an end. 3.A leveling off of open interest following a sustained price advance is often an early warning of the end to an up trending or bull market. What is Moneyness of Options? 1. In The Money (ITM): has positive intrinsic value as well as time value. 2. At The Money (ATM): If the strike price is the same as the spot price of the underlying security on which the option is written. An at-the-money option has no intrinsic value, only time value the money. 3. Out Of The Money (OTM): An out-of-the-money option has no intrinsic value and will have a positive time value. Check out NSE Academy Certified Option Strategies for better understanding of Moneyness. Options are such financial assets which provide limited payoff. It is an agreement between two parties to buy/sell an asset at a fixed price and fixed date in the future. Derivative is a financial asset which derives its value from the value of the underlying asset, which could be securities, commodities, bullion, currency, live stock or anything else. There are various types of derivatives contact. Forwards: is a customized contract between two entities, where settlement takes place on a specific date in the future at today's pre-agreed price. Futures: is a standardized contract between two parties to buy or sell an asset at a certain time in the future at a certain price. Options: are financial derivatives that give their holders the right to buy or sell a specific asset by a specific time at a given price (strike price). 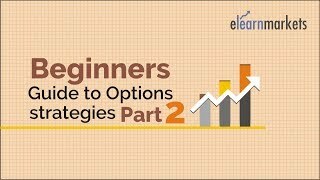 They are of two types i.e., Call option and Put option. Swaps: are private agreements between two parties to exchange cash flows in the future according to a prearranged formula .